Cranial cruciate ligament injury is the commonest hindlimb orthopaedic disorder we recognize in dogs. There are two cruciate ligaments (cranial and caudal) in the stifle (knee) joints in dogs and cats and the cranial cruciate ligament is particularly prone to degeneration and rupture. All ages and breeds of dog can be affected by cruciate ligament disease. Studies have shown that the cranial cruciate ligament degenerates with age and these changes are more severe in larger, heavier dogs. It results in the development of osteoarthritis in the joint. How do I know if my dog may have a cranial cruciate ligament problem? 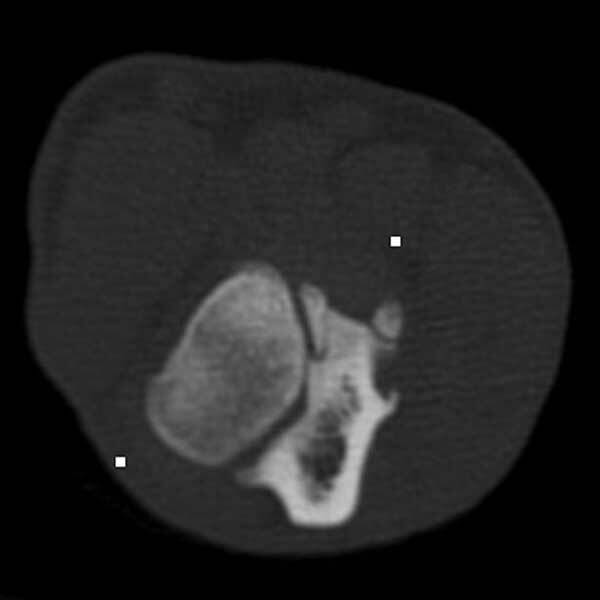 The commonest clinical sign of cruciate ligament disease is lameness on a hindlimb. This may start suddenly and be quite severe or may have a slow, insidious onset with an intermittent or very mild lameness. If both hindlimbs are affected at the same time lameness may be less obvious and you may notice other problems such as struggling to rise from lying and with certain activities such as climbing stairs or jumping in to the car. This can look very similar to a dog with a hip or spinal problem. If both stifles are acutely affected your pet may struggle to stand on its hindlimbs. How is cruciate ligament injury diagnosed? On a physical examination most dogs will show sigs of pain when the stifle joint is manipulated. 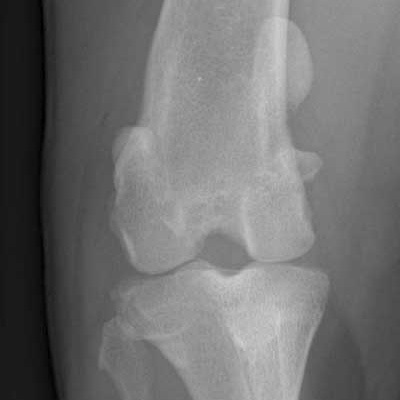 In most cases injury to the ligament results in joint instability (“cranial drawer”) and this can usually be detected on examination although in the acute stages the joint may be too painful for this to be obvious. Some dogs with cruciate ligament degeneration will have no instability due to the specific part of the ligament that has torn or because the joint has become arthritic and this has resulted in the joint stabilizing. 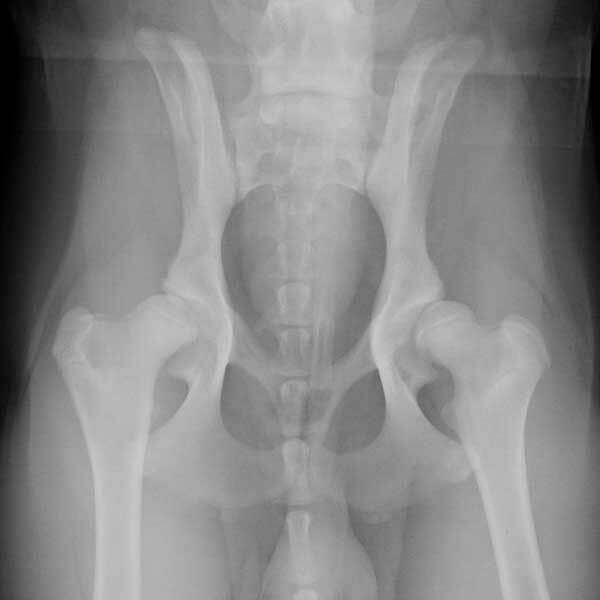 Radiographs of the affected joint will usually show evidence of increased joint fluid within the joint (called an effusion) and many dogs will have signs of osteoarthritis. Broadly there are two approaches to dogs with cranial cruciate ligament disease - conservative management and surgery. Conservative management (drugs, exercise modification, weight loss, hydrotherapy and physiotherapy) is usually restricted to dogs with very mild or intermittent lameness and small breeds of dog. The vast majority of dogs with clinical signs of cruciate ligament disease function much better or return to soundness with surgery. There are numerous surgical options for dogs with cruciate ligament disease but at Anderson Abercromby we normally consider one of three options. This is our normal surgery of choice in dogs over about 15kg in weight. The reason we perform a TPLO in dogs of this size is that we believe it gives the best outcome compared to other surgical procedures. This based on the results of several thousand surgeries. The procedure involves cutting the tibia just below the stifle joint with a curved saw blade and rotating this tibial segment to achieve a tibial plateau angle of 0-6.5 degrees. 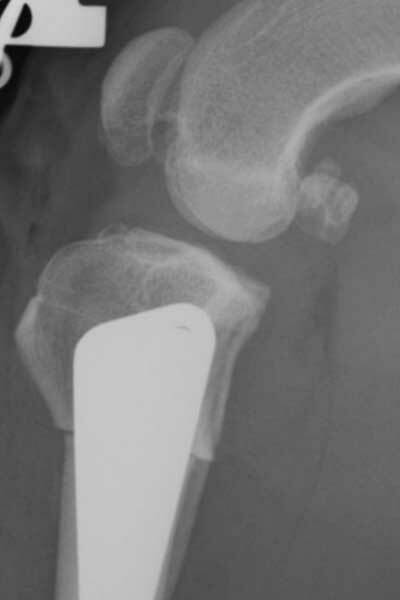 The bone is stabilized with a locking bone plate and screws. This rotation of the bone results in a stifle joint that will be stable when the dog is weightbearing. Although this is quite a complex surgery dogs generally recover quickly and will be discharged the day after surgery. This is normally the surgery we perform in dogs under about 15kg in weight. The reason we perform this surgery on small dogs is because it is technically easier than a TPLO in dogs of this size and the results are comparable. 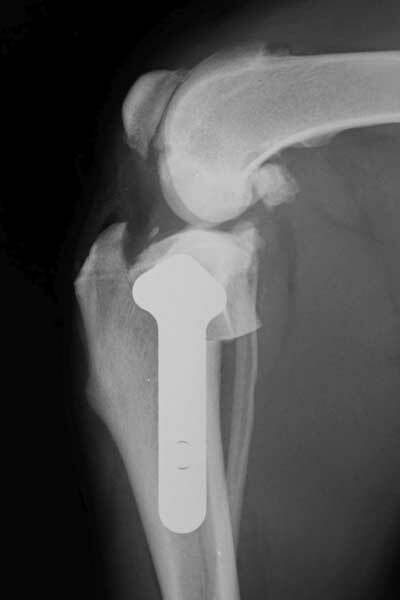 The surgery involves removing a small wedge of bone from the proximal end of the tibia and then stabilizing the bone with a bone plate and screws. 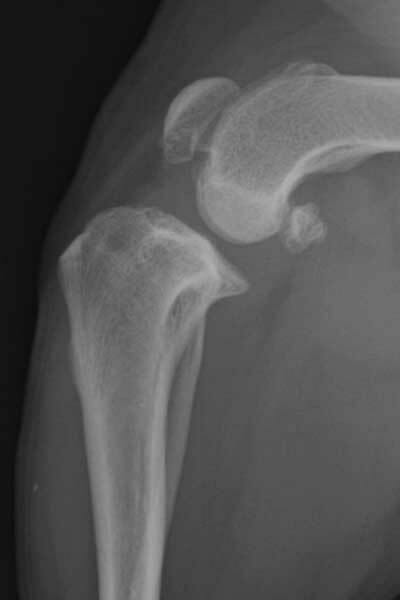 The result is a marked reduction in the slope of the tibial plateau that has the same affect as that achieved by a TPLO. This procedure was the surgery of choice for dogs with cruciate ligament injury before the advent of the surgeries described above. We do still perform this procedure on small dogs and where there are financial constraints that have excluded the above surgeries. Many dogs can do well with this simple surgery but outcomes are more variable, recovery times are longer and more osteoarthritis will develop in the joint. 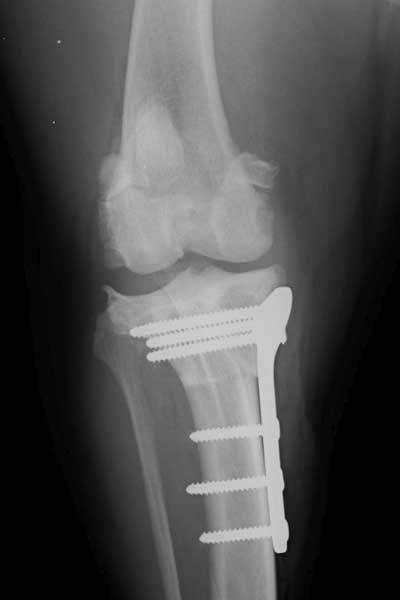 The surgery involves placing suture material through holes in the tibia and around a small piece of bone at the back of the stifle called the lateral fabella. 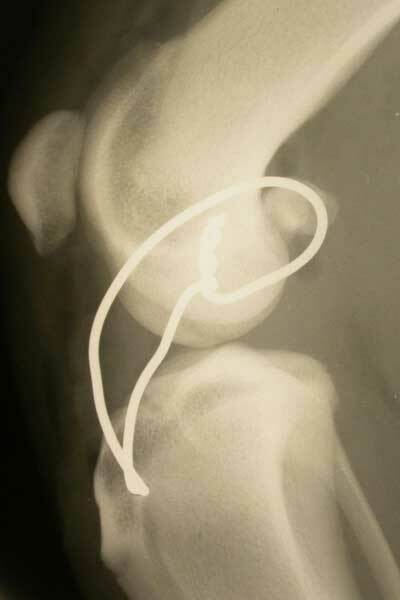 This suture will stabilize the joint but over time with increased limb use some instability will usually return. The Xray shows this procedure using wire as the suture material but normally we would use heavy gauge nylon or a material called Fibrewire®. 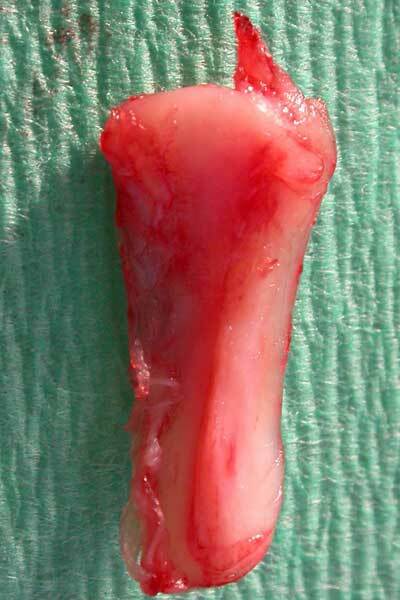 If your dog has a TPLO or CCWO surgery by the time sutures are removed at 10-14 days we would expect reasonable limb use. Exercise is restricted to short lead walks only until 6 weeks when we normally re-examine and obtain radiographs to assess bone healing. At this stage some dogs will appear to be sound but most will still have a mild lameness. By 12 weeks most dogs show no lameness. If lameness is still present this will usually resolve by 5-6 months post surgery. Can lameness recur after recovery from surgery? A small number of dogs may show signs of lameness after surgery and this can have a number of causes. It could be due to simple over-exertion in which case this will normally resolve with a period of restricted activity and pain relief. 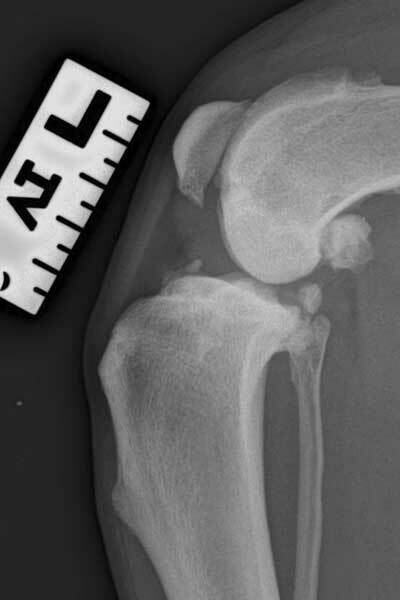 Some dogs develop a tear of their medial meniscus (cartilage between the two joint surfaces in the stifle) and this can result in persistent lameness. 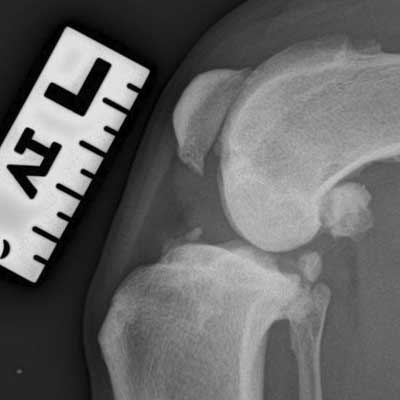 Treatment for this problem involves removal of the torn area of cartilage. 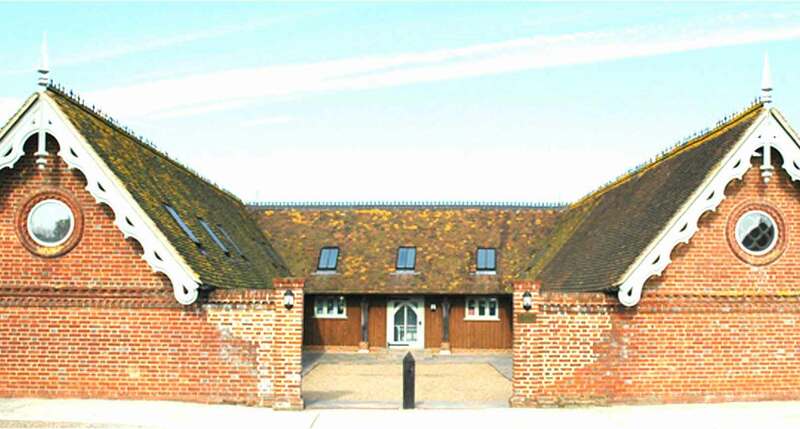 There are other reasons why lameness can develop and if it persists we would advise you to contact us and arrange another appointment.